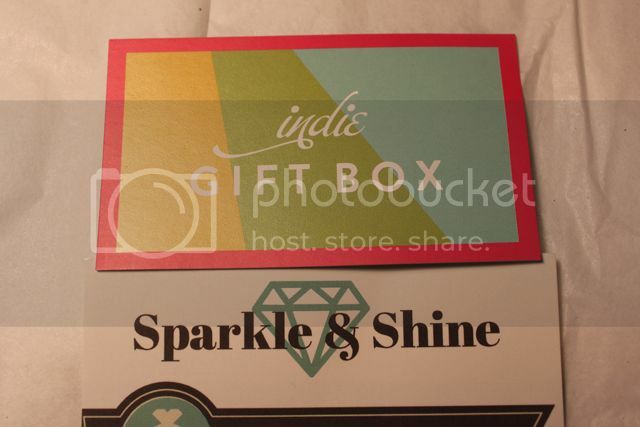 I've always wanted to try one of those subscription box things but none seemed quite right for me, then I found IndieGiftBox. They are a monthly subscription service that delivers handmade products instead of big name brands. Perfect! Great value and no commitment (I bought one box, rather than a subscription), what's not to love? 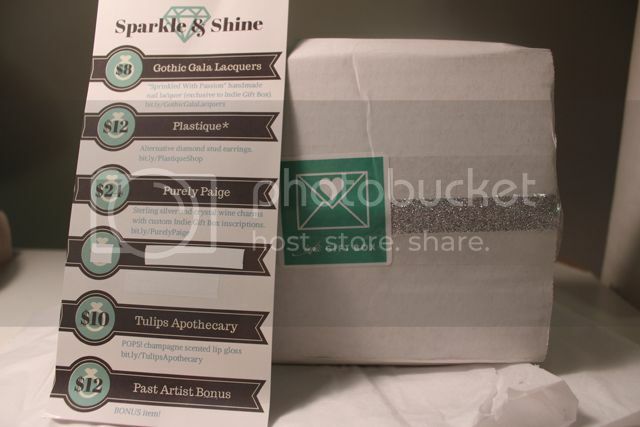 Here's my 'unboxing' of the May "Sparkle & Shine" box! 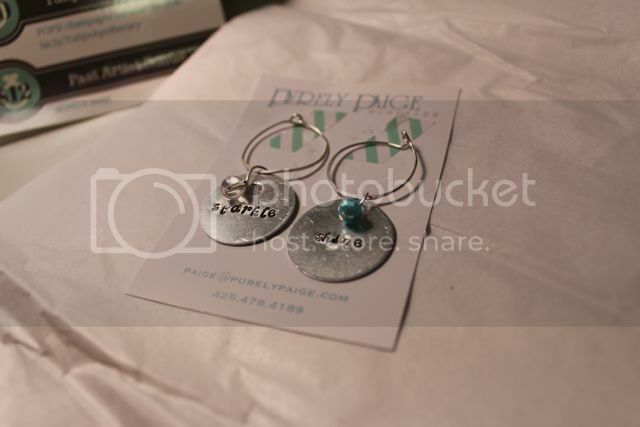 Wrapped in turquoise and sparkles, the box arrived on my doorstep. I avoided looking at the product list at first (didn't want any spoilers!) You're about to get all the spoilers so if you'd rather be surprised, head over and get your box! 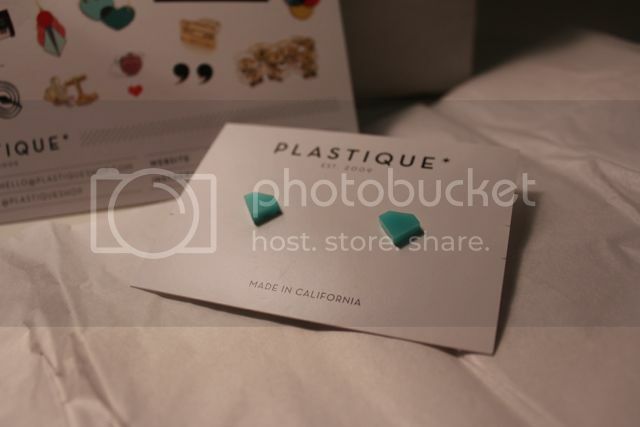 My favorite thing in the haul was these turquoise diamond shaped studs from Plastique. They are so cute, I've been wearing them with everything! Next was this pretty sparkly nail polish from Gothic Gala Lacquer. It's a bit sheer so I needed two coats, but I bet it'd be really cool layered over a similar color. 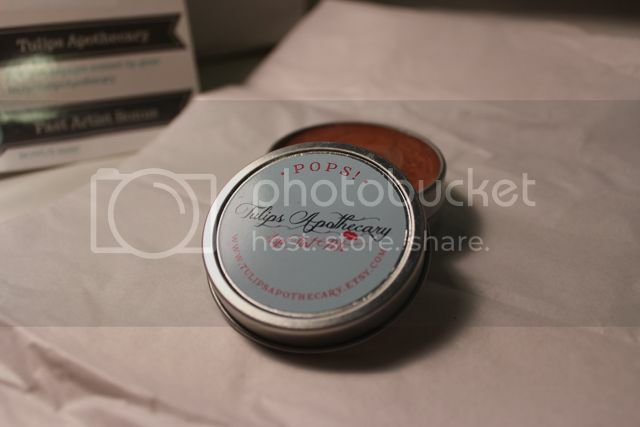 This lip tint from Tulips Apothecary says it's 'POPS champagne' scented. I guess that means coke-a-cola, cause that's all I smell. Reminds me of summers as a tween in the 90s. 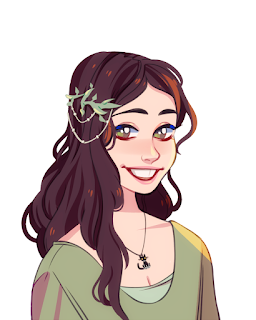 Last but not least was the mystery contributor. 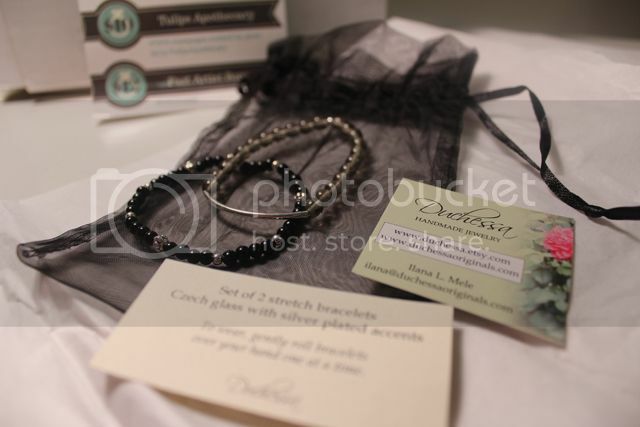 It turned out to be two nice bracelets from Duchessa. They are very pretty and look nice worn together. If you like what you saw you can reserve yours NOW by subscribing on a monthly, 3-month, 6-month or annual basis. For those who opt not to subscribe, you can grab yourself one of these shimmering beauties on a first-come. (I might just be doing that again...hehe) Check out the details below. New reduced shipping rates: $5 to the United States, $12 to Canada and $20 to all other international destinations. Shipping info: Boxes will be shipped within 3 days of receiving your order (whichever comes last) and will be sent via USPS First Class Mail. Get your box!